TCI’s Top Model Contest was created to encourage local people interested in the fashion industry by giving them an edge of experience and connections so necessary in that competitive world. 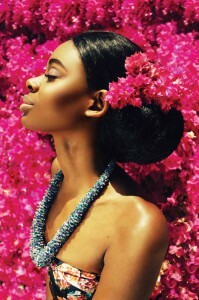 Nikeira Stuart won the Fashion Forward Award in the 2011 TCI Top Model Contest. Since then, she’s taken full advantage of the opportunity—pairing it with large doses of drive and determination to make her mark in the international fashion scene. 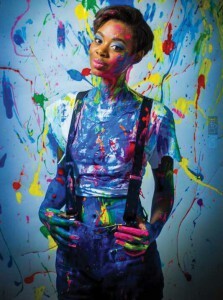 Nikeira Stuart is making her modeling career bloom! Having grown up in Freeport, Bahamas, Nikeira moved home to the Turks & Caicos in 2009 to be with her family, who are based in Providenciales but rooted in North Caicos. Her natural affinity for runway was apparent early on as she participated in 2009’s cycle of TCI Top Model, but it really shone through in 2011 when she won the Fashion Forward prize, catching the attention of modelling agencies Soul and Red Model Management. In March 2013 she was invited to accompany Jermel Williams, a talented local designer and dear friend, on his trip to Los Angeles, California to showcase his new collection at LA Fashion Week. It was there that she got her first taste of what it was like to be on an international runway. The event also gave Nikeira the opportunity to strut for Bajan designer Kezia Estwick which, she says, “Gave me a thrill that left me hungry for more!” After years of barely being noticed at home, she decided to give her all to succeeding on the global stage. Making use of talented local photographers, she has built an impressive and versatile portfolio, key, she says, to being noticed: “Your portfolio is your potential.” It was this portfolio that helped her book a shoot at the Gansevoort Turks + Caicos with California-based label Just My Jammies and a high fashion editorial in Jamaica’s Nirvana magazine in August 2013 which showcased the debut collection of TCI designer Kadrica Hamilton. Soon after, Top Model organizer Courtney Robinson invited Stuart on a trip to New York in September 2013 to the world’s biggest fashion spectacle—New York Fashion Week. Determined to make her mark, Nikeira modelled for a total for ten designers and opened two of the shows with her signature walk. “Opening a show is a huge deal for a new model, it was amazing!” she says. Nikeira also got the opportunity to “go-see” some of the world’s premiere modelling agencies like Wilhelmina and IMG. Modeling Milusha London’s fabulous fur at London Fashion Week 2014. Determined to conquer another fashion capital, upon returning home the relentless model immediately began to scour London Fashion Week castings and send her portfolio to as many casting agents as possible. Soon the organisers of one of London Fashion Week’s biggest showcases, Fashion International, expressed interest. “I prayed for the Lord’s favour to follow me as I waited to hear back from them,” Nikeira says. Within hours she learned that she had successfully booked two showcases and a total of five designer shows there. A model must have a variety of looks. Organizers were so impressed by her performance on the catwalk they gave her the final slot as a candidate for Top Model Worldwide, the first and only time the TCI has been represented. This April, Nikeira went back to London to compete with the forty-four contestants. Although she did not win, she was chosen to shoot a promotional campaign for Nigerian accessories label Made in Lagos featuring the brand’s handmade Ankara print handbags. She also attended the British Vogue Festival where she met supermodel Karlie Kloss and sat in on the Fashion Legends talk with Naomi Campbell and Vogue Italia editor Franca Sozzani. The 5′ 9″ beauty never forgets to thank God and credit the large support system cheering her on every step of the way. First is her husband Dexter Hannah and five-year-old son Dexter Junior. With “DJ” successfully battling Gullian Barre Syndrome, Dexter Senior’s heavy involvement is what allows Nikeira to pursue her career. She lauds good friend and designer Jermel Williams, photographer and cousin Dominique Rolle, and Courtney Robinson who gave her essential opportunities in the beginning of her career. As a trust assistant at local law firm Miller Simons O’Sullivan, she is thankful for a job that is very supportive of her modelling and “extremely grateful for persons and businesses in the community that have helped me to go places I could only dream about.” These are: the TCI Tourist Board, Josephine Connolly, and Seven Stars Resort (London Fashion Week) and Amanyara, Carib Gaming, and Jais (Top Model Worldwide). 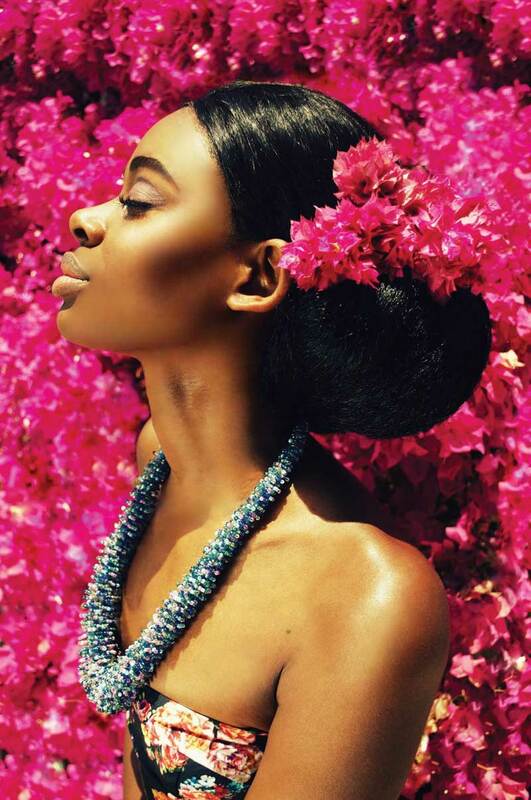 With plans of taking the leap into the cosmetics industry and hopes of inspiring young girls who were shy just like herself, Nikeira Stuart’s modelling started as just the seed of a dream, but in its right season it has come into full bloom.